The U.S. Attorney reviewing files of Gov. Cuomo's now-disbanded anti-corruption commission -- an investigation came before the the convictions of two of the state's highest ranking legislators -- said his office found no evidence of criminal wrongdoing when it was "prematurely" shut down. 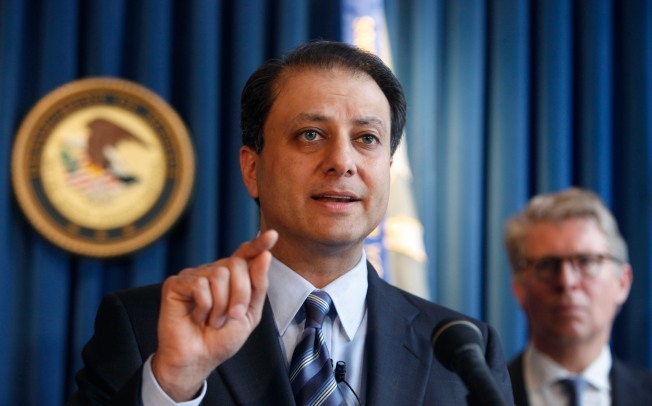 U.S. Attorney Preet Bharara said in a statement Monday his office could find no criminal wrongdoing in the 2014 shuttering of the Moreland Commission, a panel set up by Gov. Cuomo in 2013 to investigate corruption in Albany. "After a thorough investigation of interference with the operation of the Moreland Commission and its premature closing, this office has concluded that, absent any additional proof that may develop, there is insufficient evidence to prove a federal crime," he said in a statement. Bharara had been investigating the panel since it was shut down in 2014. His office had sent Cuomo a letter threatening to investigate his administration for obstruction of justice and witness tampering charges shortly thereafter. Cuomo, meanwhile, defended his handling of the commission. Gov. Cuomo defended his handling of an anti-corruption commission Monday, dismissing reports that his administration interfered with its work. Melissa Russo reports. Elkan Abramowitz, a lawyer for the state Executive Chamber, said that they "were always confident there was no illegality" in the way Cuomo's office handled the panel. "We appreciate the US Attorney clarifying this for the public record," Abramowitz said. In Monday's statement Bharara said that his office would continue to look into the commission's ongoing investigations, however. Bharara's office prosecuted corruption cases against former state House of Representatives Speaker Sheldon Silver and Sen. Dean Skelos, the state Senate majority leader, while investigating the Moreland Commission. Both men were convicted on federal charges.